Build the hardware, then learn how to program it. Three brightly colored boxes sit in the middle of the table. Alex Klein, co-founder and CEO of Kano, takes the yellow one and pops open the lid, revealing an array of small plastic parts inside. They sit neatly in the foam, begging to be plucked out and examined. A transparent case. Lenses and a flash ring. Some have a Post-it note on top, the word "best" scribbled in biro. Klein chuckles, admitting that some of the parts "may be completely busted." I don't mind. At this point, Kano is still a few weeks out from its next Kickstarter campaign. It'll be a while before the kits are put into mass production. A camera, a speaker and a light board. Kano is pitching all three as a new, friendly way for children to learn about electronics and computing. Each pack comes with a booklet featuring step-by-step instructions, rather like a Lego set. You pull out the parts and clip them together, learning what each of them does and how they contribute to the final product. Once you've completed the build, you can hook up a laptop, tablet or smartphone and program its behavior. Kano's new web-based software includes a bunch of creative projects, all of which teach you to code along the way. The kits are more than toys. They're tools, designed to educate and entertain in equal measure. If you buy the camera kit, for instance, you'll learn how to program a timer. Then, how to trigger the flash. Or a colored flash. A remote trigger. A camera that can shoot automatically when someone walks by. An animated GIF. The list goes on. Once you've learned the underlying bits of code, you can begin remixing the blocks and creating your own projects. Maybe you want to capture a robin that frequents your garden bird box. Or shoot a time lapse at the beach. 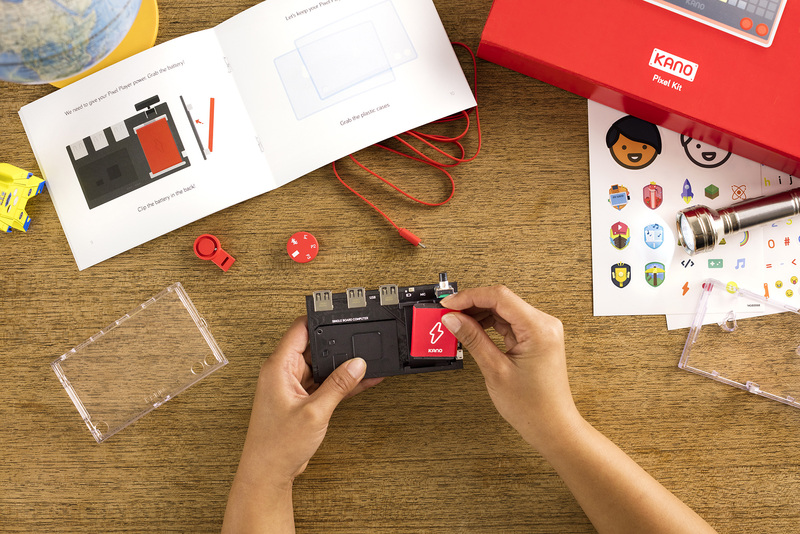 Kano's kits encourage this kind of experimentation. Not a fan of traditional photography? No problem. Kano's light board has a whole different set of capabilities. You'll start off slow, learning how to switch on all of the lights with code. You'll then graduate to twinkling effects, which can be manipulated every time you clap or move toward the grid. Trickier challenges will teach you how to make a smiley face, a weather monitor and a live, updating scoreboard for your favorite team. Thanks to the tilt sensor, you can even program a simple driving game. The kits are a logical progression for the company. 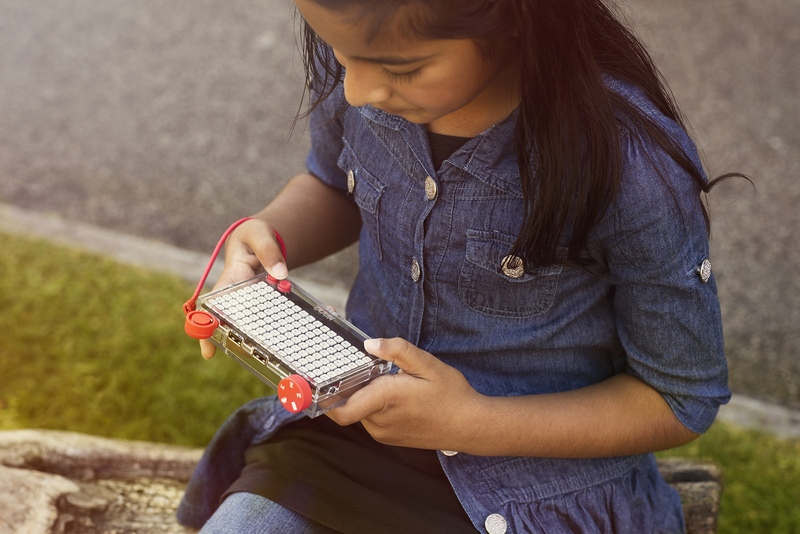 Kano burst onto the scene in 2013 with a crowdfunding campaign for a Raspberry Pi–based computer. The underlying board was already quite popular, and with good reason: It was small, cheap and surprisingly capable. Many felt it was the perfect hardware for teaching children about coding. There's truth to that argument, but a problem persists: For parents and teachers with zero technical knowledge, it can be a daunting purchase. Kano's idea was to package it up as a colorful, easy-to-follow construction kit. The board would come preloaded with software, aimed specifically at kids, that could teach them the basics of programming. A polished, but open, system. The Kickstarter was a resounding success, collecting more than $1.5 million in 30 days. The project hit a chord with developers in particular, who wanted to spark an interest in their children or relatives. To date, Kano has sold over 100,000 computer kits in 86 countries. In 2015, the team started work on what is now the speaker kit. Klein says the plan was to launch this product for Christmas, but he soon realized that "the technical challenge was absolutely massive." It needed a new, custom single-board computer, and a software platform that lived on the web. "We couldn't rely on a Linux operating system for this, because we wanted you to be able to control and code it from any device, including a MacBook and an iPhone," he explains. At the same time, Kano had received some interesting research about its users. Children who had a dedicated screen for their Kano -- meaning they weren't using the TV in their living room, or sharing a monitor with another PC -- were far more engaged with the coding software. Sensing an opportunity, the company decided to "hold on the sound kit" and focus its efforts on a screen pack instead. The 10-inch display was mostly functional, with space around the back to store the Kano computer and its accompanying keyboard. It did, however, also come with some new "content and challenges," as well as a magnifying glass that encouraged children to peek at the screen's individual pixels. Klein thinks of the monitor as the "completion" of Kano 1. The three new sets, he says, can be thought of as Kano 2. It's no longer about computer kits, but "systems" that facilitate more interesting projects. Such a shift in thinking was driven by Kano's community. 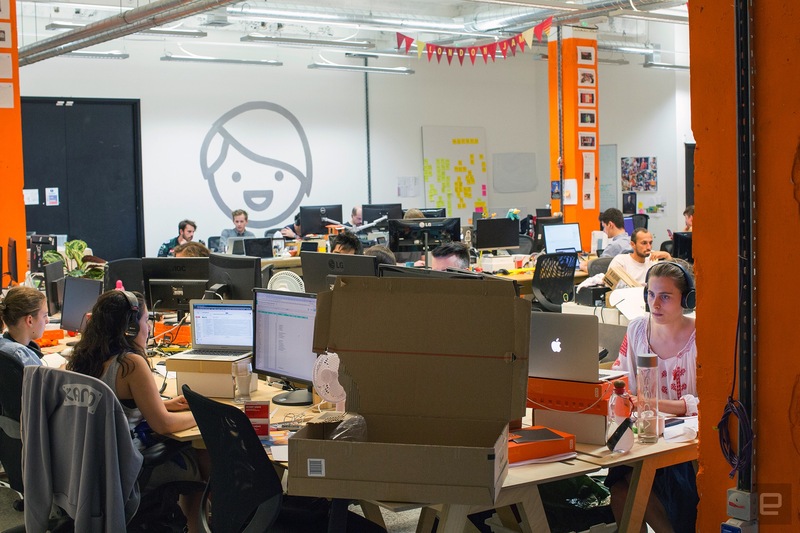 The team was looking at "Kano World," a hub where users can share their code, for interesting user-created projects. Over time, they noticed that the best ones fell into one of three categories: photography, music and data. One family in Oklahoma, for instance, had hooked up their Kano to a monitor and a camera. With little guidance, they had written a custom script to capture flowers slowly blooming in their garden. Elsewhere, a musician in New York was using his Kano to power a visualizer. It would strobe and pulse in time with the music, thrilling crowds at his local concerts. "Data" is a little trickier to describe. Klein points to the stripped-back version of Minecraft that comes bundled with each Kano. It's a modified version with distinct challenges that require code-like commands to progress. "People would use that and hook it up to an API so that their Minecraft counter would run forward depending on the time of day," Klein explains. "Simple stuff, but cool." Kano, the company realized, had removed an important barrier associated with setting up the Raspberry Pi. People were now encouraged to go further, setting up projects that combined new hardware and code. "What we're doing with these new kits is blowing that out," Klein adds. The new approach might surprise some people. Do you really need these kits to learn how to code? Can't children just learn with their laptop and a stable internet connection? After all, so many jobs are about building apps and businesses on the web. It's a narrow-minded approach, but one that does hold merit: You can learn an awful lot using sites such as Codecademy. Klein thinks a little differently, however. The learn-to-code movement, he says, isn't about turning everyone into the next Mark Zuckerberg or Sundar Pichai. "It's more to do with the ability of your everyday person to understand and manipulate data," he says, "than it does necessarily moving a cat across a screen, or even making a personal web page -- because they're so easy to do. A lot of it is about how an individual, a human being, can make connections between data, the physical world and a problem that they have, an itch they want to scratch, something they want to express. It's not necessarily about making Clash of Clans millionaires anymore." "The more you can relate it to our most instinctive mode of thinking, which is physical, the more that it makes sense to people." Kano hopes that the kits will appeal to a broader range of people -- not just children but adults too. Anyone who's curious about the objects they use every day. "Learning this new way of thinking is hard," Klein says. "I still find it hard. I didn't start when I was nine, and I kinda wish I had. It really is a new way of thinking, and the more you can relate it to our most instinctive mode of thinking, which is physical, the more that it makes sense to people." The company's direction could have been quite different. At one point, Kano considered doubling down on its computer kit. The original Kickstarter had been a huge success, after all, and the community had shown interest in the screen add-on too. Why not go further? A battery pack, an antenna, a series of speakers -- Kano could explain each of them in turn and build out people's understanding of the modern PC. But Klein ultimately decided against it, sensing that these new products "wouldn't really be as in the spirit of the company." I tend to agree. The new camera, speaker and pixel kits feel more ambitious and educational. The potential to experiment and learn new skills is far higher. Inside Kano HQ, Klein starts to show me the build process for the light board. As he flicks out the manual and selects the appropriate parts, I'm struck by how clean and polished everything looks. The kits are colorful and approachable, while maintaining a do-it-yourself, handmade feel. Kano's goal is to simplify the complexity associated with electronics, but if the parts are too well packaged -- cloaked in too much soft, rounded plastic -- it doesn't feel like you're making something, well, real. Klein says it's a balance. The team thinks carefully about how the parts should come together. Levers give way to tiny sliding mechanisms. The lenses are attached with magnets, rather than cumbersome screws. Instead of a normal printed circuit board (PCB), raw and "grinning" with "gnarled teeth," it's refined, with enough cues to suggest what's inside. I pick up the tilt sensor, a thumb-size piece of plastic with a circular top. A shallow trench houses a ball bearing that freely spins around. "That aesthetic you're describing reflects the main point, in a sense, of the company," Klein muses. "Which is, in a word, to resolve the Jobs-Woz crisis. To prove that it's possible to have a modular, DIY creative system that the user controls, but that's also really simple and human and tells a good story." Nailing "simple and "human" isn't always easy, however. "It's hugely challenging, because you really don't know until you put it in the hands of a curious and oftentimes skeptical 10-year-old, 12-year-old or 26-year-old," Klein says. "All of your assumptions about what is going to be simple are overturned in about five minutes. And that's just for the build process; the software is the same. 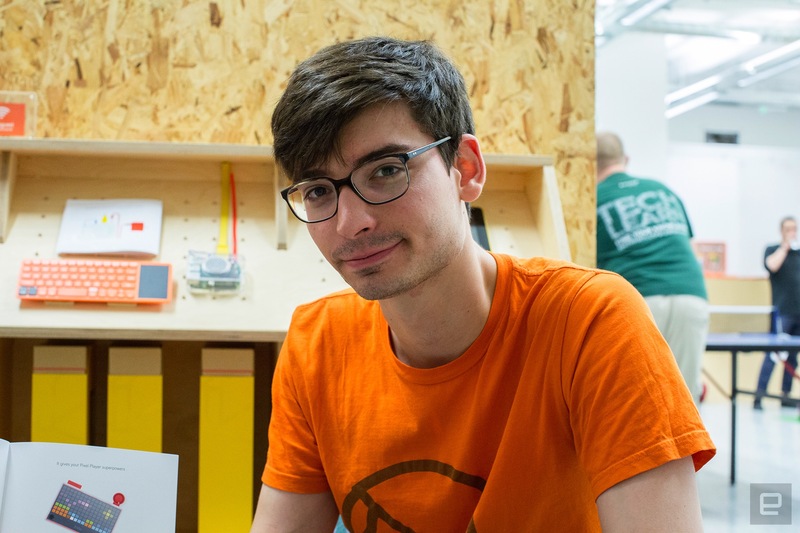 Each kit is a much more complicated build than the original Kano computer, and so we have to go through it hundreds and hundreds of times." The three kits will have a staggered release next year. Kano is preparing the camera kit first, and hopes to have a developer version out before the end of the year. Regular backers will receive the pixel kit in January, followed by the camera in May and the speaker in July. That's not to say Kano won't have an exciting Christmas, however. The company has signed its first retail partnerships in the US, including ones with Toys "R" Us and Barnes and Noble. That means the original computer and screen kit will finally be available on store shelves, where parents and relatives will no doubt be prowling for holiday gifts. "As simple and fun as Lego, but as powerful and future-peeking as an Apple product." The camera, speaker and light board should land in retail sometime next year, once Kano has fulfilled its Kickstarter pledges. It is, to put it mildly, an important 12 months for the company. One that could take it from a plucky upstart to a global computing powerhouse. "This year is about convincing the people who maybe never knew, or were skeptical that coding is something they should do, and that their kids should do," Klein explains. "It's about making them aware of how fun, empowering and mainstream something like this can be. How it can bring you closer to your kids and prepare you for a new career. It's about going from a niche, which will continue to be profitable for us, to the original purpose of the company, which is to create a new computing brand focused on creation. Making it as simple and fun as Lego, but as powerful and future-peeking as an Apple product."